Happy March, Space Freaks! So here we are just a few months later and another amazing round of items has sold off through Hake’s Americana. The second installment brought some great prices, but honestly not as many stories, and not quite as much excitement as the first auction did in 2017. Let’s face it, outside of a few pieces there wasn’t a lot of stuff to talk about here. Yes, I talk about 12 Backs and other more common pieces on the MarketWatch, but with an event like this it’s all about the rare and unique, and over all outside of 5-6 pieces the auction fell a bit flat. 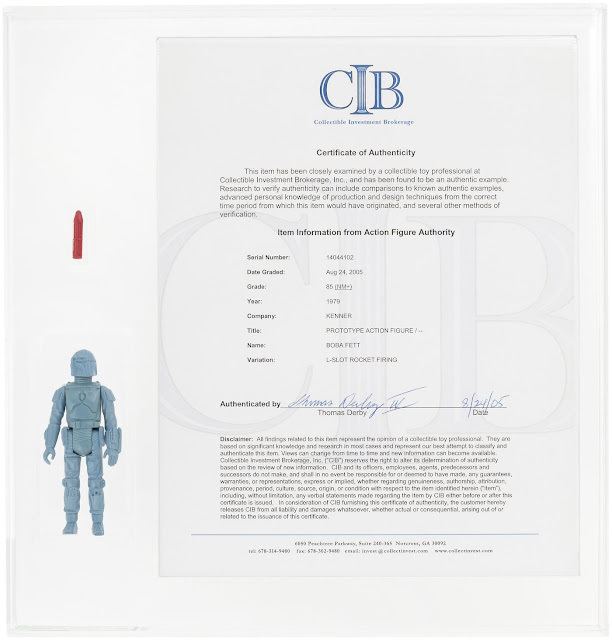 Boba Fett Rocket Firing Prototype AFA 85 – $86,383 – The top prize of the day was going to come down to one of two pieces: the Rocket Firing Boba Fett or the Double Telescoping Darth Vader. As you can see here, the Fett won by leaps and bounds. I’d dig into this with more coverage but it’s just not worth your time or mine. This was a fluke, and whoever paid double the high end of going rates won themselves a great prize, at a horrible price. The typical going rate for an RF Fett is around $25K-$40K, given there are around 100 RF Fett’s that have surfaced over the years and that this number hasn’t gone up that much over time. You can even circle back to Tomart’s Price Guide to Worldwide Star Wars Collectibles from the 1990s and see a value that’s pretty close to the going rate today -- partly because what was once thought to be a few, is now known to be a lot more. 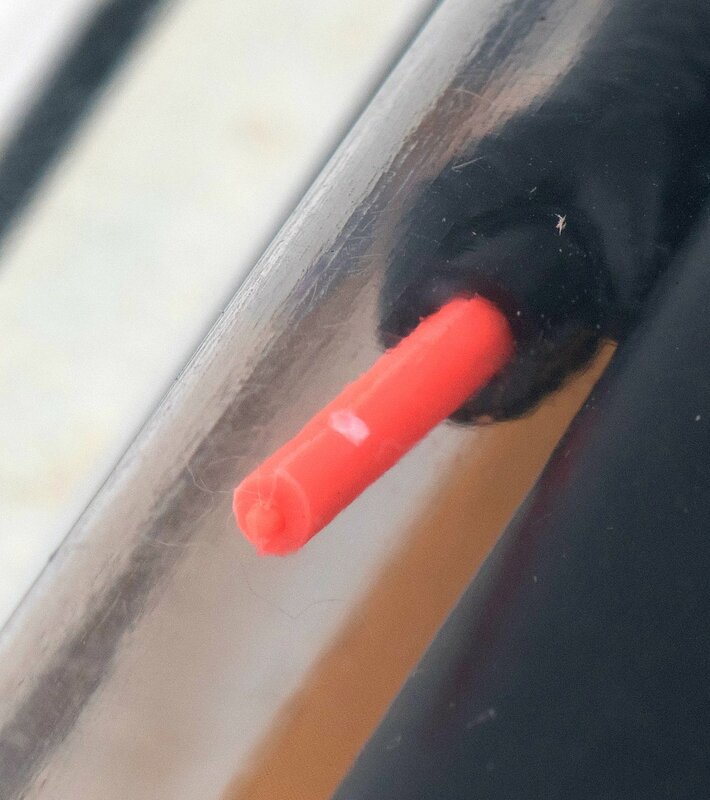 Darth Vader Double Telescoping MOC AFA 70 – $64,900 – Significantly rarer than the RF Fett, the DT Darth Vader was one of the top 5 items that was referenced by Hake’s when they first marketed the series of auctions. With only 6 examples being graded by AFA over the years, this was one of the rarest production items up for grabs across the auction series. So rare in fact, that we haven’t even been able to cover the sale of one on the MarketWatch since it’s inception back in 2012. With a price point that is out of reach for most collectors, it’s actually surprising to say that this piece didn’t obtain an even higher price point given its rarity. But what held this back was the grade. As we’ve seen from other auctions historically as well as other items listed here, the grade is having a major effect on the price of the item. Princess Leia Organa MOC AFA 95 – $29,500 – If you didn’t think that grades drive the price of an item, look no further (and if you need to look further go back to the results from the first Hake’s auction of this collection and look at the Luke Skywalker AFA 95 listing). 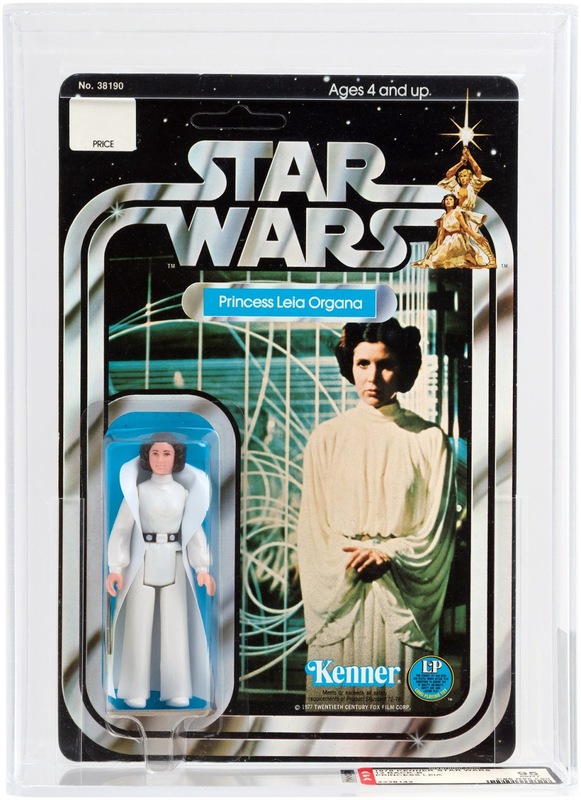 Like her sibling, the original Leia reached a new high for the 12 Back version of this character. Needless to say, the best of the best gets the best price. 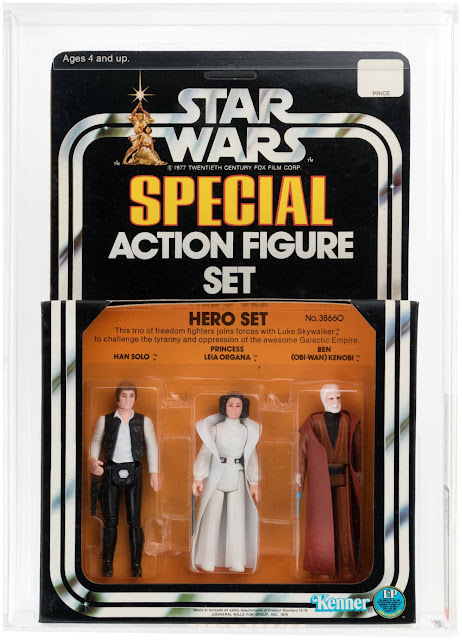 Hero Set 3 Pack MISB AFA90 – $14,684 – Here on the MarketWatch we love Star Wars 3-Packs, and the Hero Set is one of the staples of the line. Again, condition drove the over all price for a piece that would typically sell under $10K for an 85 or lesser condition item. This marks the mid point in terms of the 3-Packs listed as part of the auction, meaning we will have double the amount in the next several rounds as they sell off the full collection. 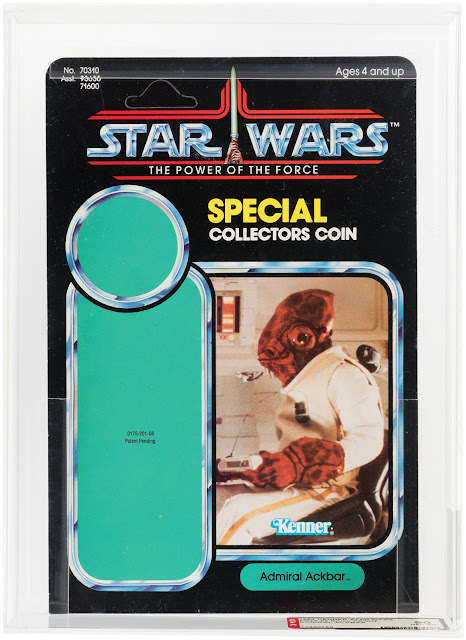 Admiral Ackbar POTF Proof Card AFA 90 – $9,204 – The rarest item listed came at the fraction of the price of items that are much more readily available. However, rarity doesn’t always drive demand. In the case of this Mon Calamari, the end price was actually much higher then anticipated even with its rarity. Given the trajectory of proofs in the hobby, it’s not surprising that one of the rarer POTF proofs achieved this price, though it should not be looked at as a benchmark in the hobby for this specific character or for any POTF proof in general. Darth Vader Collector's Case AFA75 – $14,160 – To round out the update we have another super rare production item. 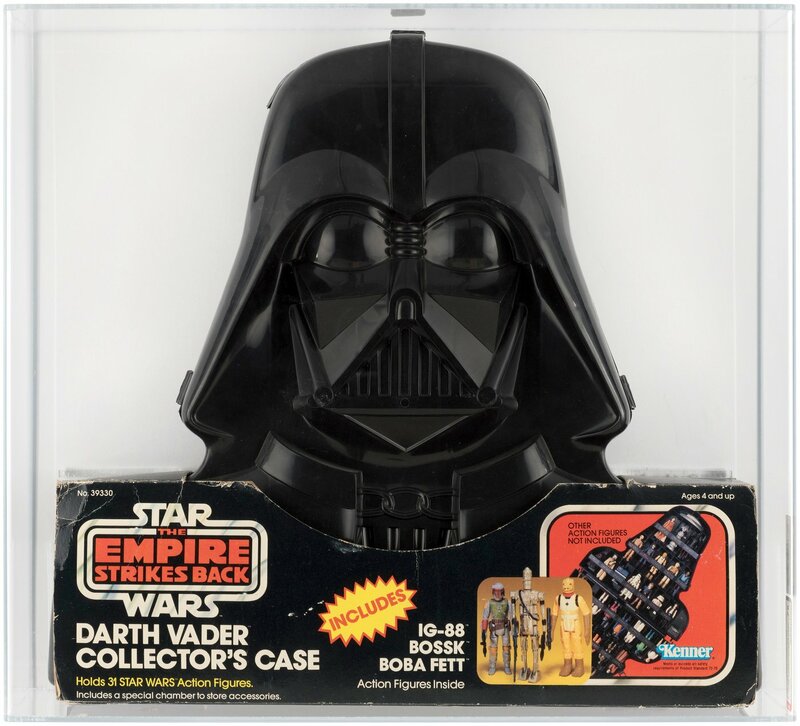 Unlike its brother that carried Vader, Luke and Yoda, this version of the Darth Vader Collector's Case packaged with IG-88, Bossk, and Boba Fett is extremely hard to find. Adding in the trio of figures and their over all popularity, it’s not overly surprising that this piece was able to reach the peak it did, even with its lower grade. If condition is a driver of price -- and I believe we’ve established that -- it would be interesting to see what an AFA80 or AFA85 would have brought for an ending price. That’s it for this update. 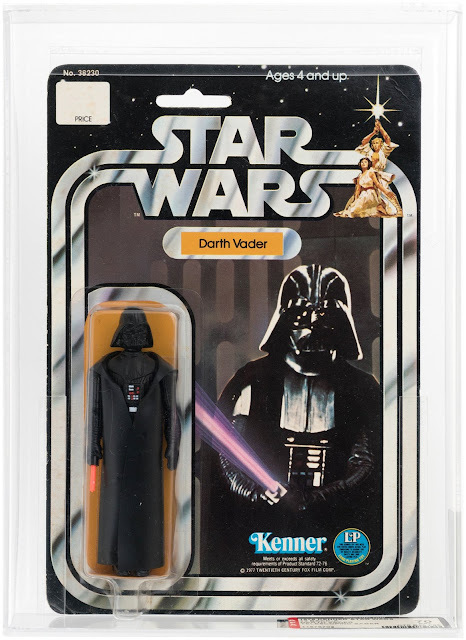 Keep checking back for more updates on the Archive and our next round of coverage of the Hake’s Star Wars auctions coming later this year.